Heat oil in a large saucepan over medium heat. Add onion and salt and sauté until soft, about 5 minutes. Add garlic, chipotle chili, oregano and cumin. Sauté for a further 3 minutes. Add stock and simmer for 10 minutes. Add corn, hominy or chickpeas and tomatoes, bring to a boil, reduce the heat to medium and simmer for 10 minutes more. Season with salt and pepper to taste. Divide soup between 4-6 bowls. 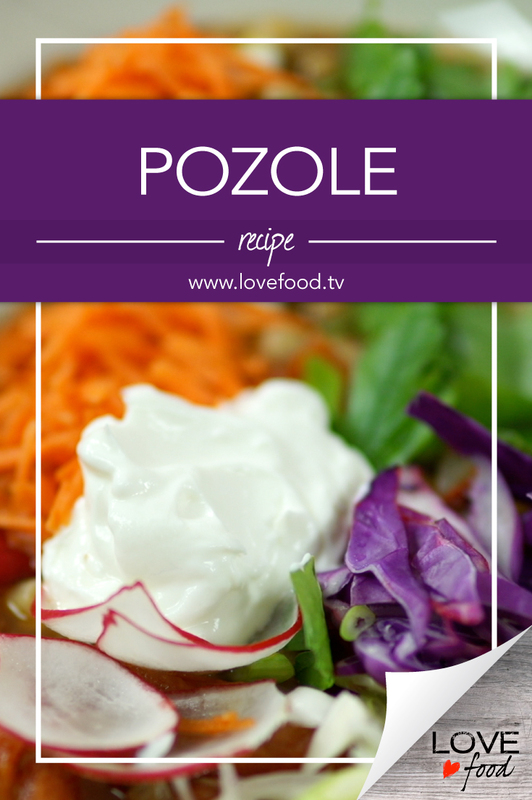 Top with gorgeous toppings and a dollop of yogurt, tortilla chips if you have them, and serve. *Chipotle chilies are roasted jalapeno peppers, with a smoky, sweet, spicy flavour. Chipotles are usually sold canned in a smoky, vinegary sauce called adobo. The cans are sold in grocery stores all over the province. Whatever is left over can be stored in an airtight container in the refrigerator for up to 1 month.